Caterpillars, also known as larvae, are one of four stages of an insect’s extraordinary four stage life-cycle. The caterpillar galleries display many of the huge varieties commonly seen in the British Isles including those that are very hairy. 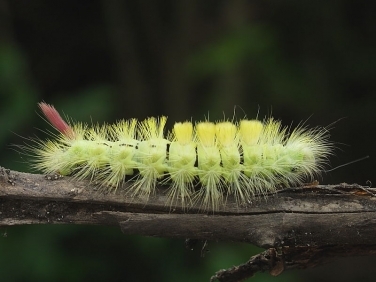 Although some caterpillars can become pests and on rare occasions even a health hazard they are crucial to the survival of so many other creatures. Some of the caterpillar identification enquiries received are also featured in latest caterpillar sightings. The Introduction to rearing caterpillars and step by step guide on How to rear caterpillars of butterflies and moths has been added in response to the many questions asked.